Truly an exquisite oil with a delicious, nutty taste, making it wonderful to use on cakes and cookies (instead of butter), or as a finish for pasta and vegetables. Use as a sald dressing, seasoning, flavoring, or for marinading fish. 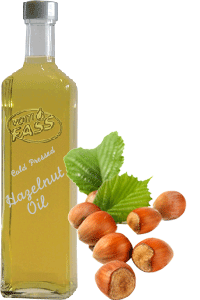 Made from roasted nuts, this oil should not be used for frying.